The gallbladder is an outpouching of the bile duct that drains bile from the liver to the small intestine. Bile is a detergent that helps to break down the fatty portions of our meals. The function of the gallbladder is to store bile in between meals, and to release it when we eat. When does the Gallbladder need to be removed? In some people, gallstones can form in the gallbladder. 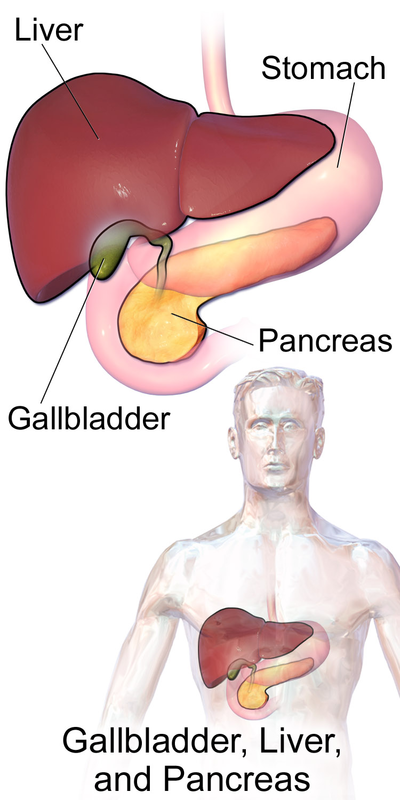 Once these form, they will generally continue to cause symptoms until the gallbladder is removed. Most commonly this is just pain in the upper abdomen after meals – called biliary colic, but occasionally gallstones can cause more serious infections or inflammation of the pancreas gland. In some people, the gallbladder can cause pain even though gallstones are not present. If the gallbladder is shown to be non-functional on tests then removal is also usually recommended. These days almost all gallbladder removal is undertaken using laparoscopic (keyhole) surgery. This surgery is conducted through four small incisions under a general anaesthetic. Most people either go home the same day as surgery or stay one night in hospital. Gallbladder removal has been performed for over 100 years, and no serious long-term side effects have been found following its removal. The digestion adapts very rapidly to liver bile constantly flowing in to the intestine and being recycled back to the liver via the bloodstream. Sometimes people can notice that their bowel movements are slightly looser following gallbladder removal. For more information about gallbladder surgery please click here.